Are you ready for self-driving cars in Central Florida? ORLANDO, Fla. - Tesla has software that will do some of the driving for you, along with Cadillac, Volvo and some other high-priced vehicles. But is the reality of true self-driving technology still years away? 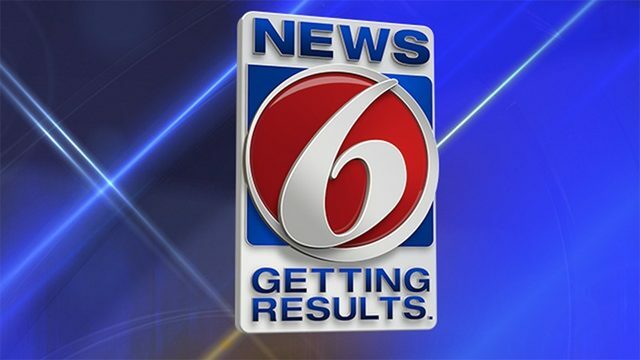 Late last year, Tampa held its annual Florida Automated Vehicles Summit, where a News 6 crew got the chance to take a demonstration ride in a fully operational self-driving vehicle. Virginia-based Perrone Robotics isn’t going to build a self-driving car, but it could be the company to supply the software and technology that might be the automated driving brains for the next car or truck you’ll buy in the very near future. The company was at FAV 2018 to show off a high-tech Range Rover Sport, complete with a slew of self-driving technology branded as MAX. Software combined with cameras, radar and LIDAR outfitted around the car pushed the $80,000 truck from luxurious to futuristic. And though it all may not look the best, the technology is believed to work. “We’ve given it a destination and kind of a general area for it to navigate in and it’s gonna get from point A to point B,” Garrett Moore, a Perrone engineer, said as he fired up the car and for a ride on a special closed course of Tampa’s Lee Roy Selmon Expressway. During the test run, when the car came upon another Perrone employee standing in the middle of the road, it stopped without any input from Moore. It then followed the pedestrian at a slow pace until it finally proceeded around him. But are Floridians really ready to put that kind of trust into a computer? A new AAA study reveals that 71 percent of American drivers say they would be afraid to ride in a fully self-driving vehicle. Aside from not being familiar with the technology, another reason could be a number of high profile semi-autonomous vehicle accidents in the past year, including two fatal crashes in Florida. Thanks to a very friendly political environment, Florida is one of several states leading the way in autonomous vehicle testing. Brandes said as the third-largest state in the country, he expects that Florida will be part of every mobility-related conversation. Part of that conversation centers in Central Florida, specifically in Lake Nona, Altamonte Springs and The Villages. 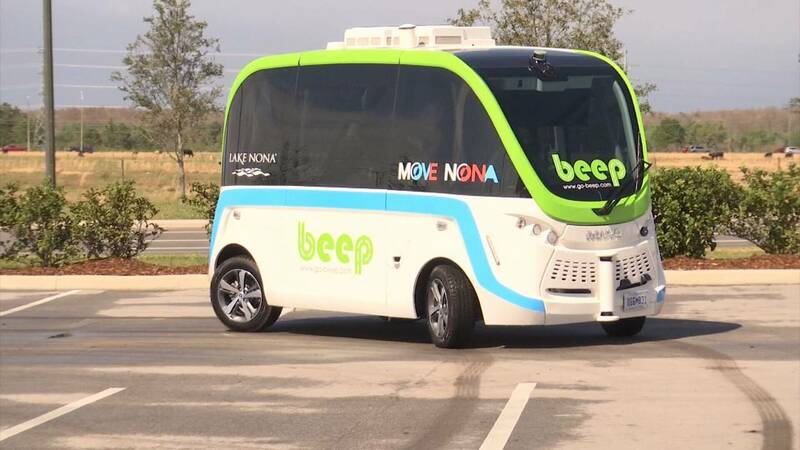 Beep Automated Mobility Solutions is getting ready to launch autonomous shuttle service in Lake Nona using self-driving electric mini buses. Beep is using French-made Navya electric shuttles. The AUTONOM Shuttle vehicle has no driver, no steering wheel, just computers and sensors telling the vehicle where to go and when to stop. Lake Nona isn’t the only area gearing up for autonomous vehicles. City leaders in Altamonte Springs want to create an automated shuttle route that parallels State Road 436. State Rep. Scott Plakon (R-Longwood) recently proposed a bill for $2 million in funding from the state to jump-start an autonomous bus route connecting a 3 1/2-mile route from Uptown Altamonte Springs to the city center. Plakon figures the entire project will cost about $8.7 million and, if fully financed, could be up and running by early 2020. A California-based self-driving car company called Voyage also has its eye on The Villages, planning the launch of a self-driving taxi service later this year. The Voyage G2 is a self-driving Chrysler Pacifica minivan set to debut later this year to provide Villagers with self-driving door-to-door taxi service. Voyage sees The Villages as the perfect environment. Voyage has already started showing off the G2 in The Villages town squares, raising awareness and curiosity and getting people to see the vehicles up close. The company already runs a similar program in a California retirement community. And although most would think people in their golden years would be hesitant to embrace technology, Ehrlich makes a point. “There's a low vision community who wants to be there on the set of first riders. So we think that, based on what we're finding, there's a core set of people that are pretty excited about this stuff,” Ehrlich said.